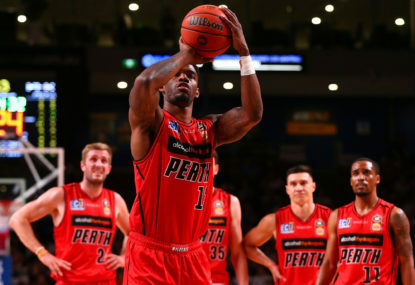 While it was the closest and tightest NBL season on record throughout 2018-19, the longer it went on the more it became clear that Perth and Melbourne were a cut above the rest. They ended up the regular season in the top two positions and then both swept their semi-final series against the Brisbane Bullets and Sydney Kings respectively. Now the Grand Final is here with Game 1 in Perth on Friday night and Game 2 back in Melbourne on Sunday as the two teams jockey for the early ascendancy in the best-of-five series. Everywhere you look there are reasons to be fascinated by what is to come and you only have to look back on the four meetings between the two teams this season to whet your appetite. That included two games that went to overtime including a double-overtime classic at RAC Arena back in Round 3 where the drama continued in the follow up when a charge call on Casper Ware denying him the game-winner was deemed by the NBL to have been the wrong call. Melbourne won big next up on their home floor before Perth held court in another tight and intense battle in front of their home fans. They last met in the final game of the regular season and while it went to overtime, the ‘Cats had nothing to play for with top spot secured and United had to win to secure second and they did enough in the extra period to prevail. There’s no shortage of championship experience on either side so the Grand Final stage won’t be a factor. Melbourne is the reigning champions with David Barlow a four-time title winner as is Alex Pledger while Chris Goulding, Josh Boone, Casper Ware, Craig Moller, Tohi Smith-Milner and Peter Hooley are aiming to go back-to-back. Perth had won the two titles before that and the Wildcats have two four-time winners in Damian Martin and Jesse Wagstaff. Greg Hire is a three-time championship winner with Tom Jervis having won two titles and Rhys Vague, Angus Brandt and Bryce Cotton one each. Then you have the salivating individual match ups all over the floor. That all starts with the second and third place getters in MVP voting, Ware against Cotton in the back court. They are the two most unstoppable scorers in the league and their match up will be worth the price of admission alone. Martin will spend time guarding Ware but it will be up to Ware to guard Cotton up the other end for the most part for Melbourne. 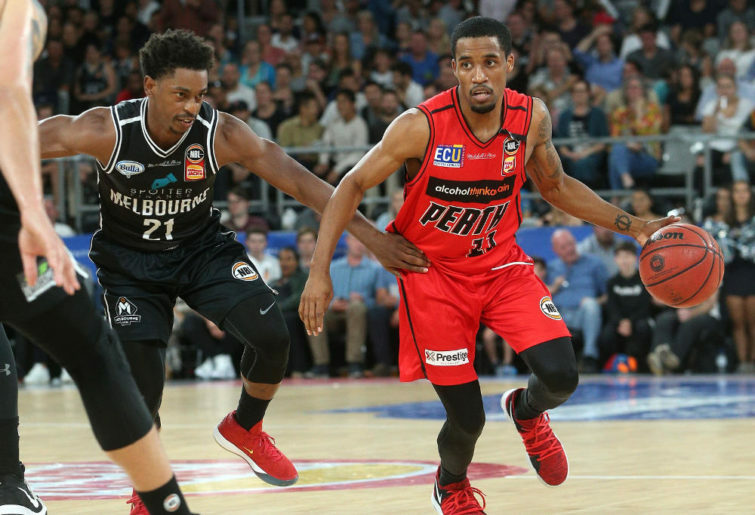 The underrated matchup of the series might very well be the battle of small forwards, Terrico White from Perth and DJ Kennedy from Melbourne. They have both had up and down seasons, but were brilliant in the semifinals and who can get on top there might decide the series. 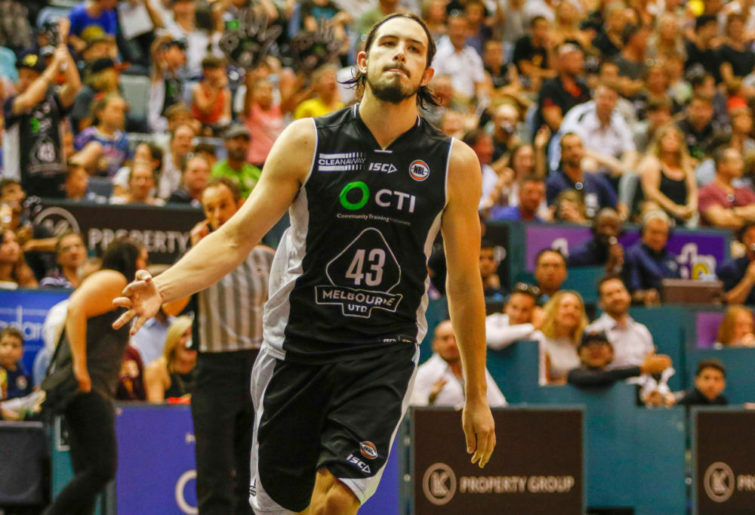 Melbourne veteran Barlow has struck some rich form all season and slotted into the power forward role but his ability to limit the ability of Nick Kay who was named to the All-NBL First Team will be pivotal to United’s hopes of winning. You’ve also got two quality centres with Perth’s Brandt and Melbourne’s Boone going at it while he can get best production off the bench could be crucial too. United moving captain Goulding to the bench has proved a masterstroke while the Wildcats also have Wagstaff, Clint Steindl and the returning Mitch Norton to call upon. It’s all shaping up to be one hell of a series starting in Perth on Friday night, but let’s leave the final words to those involved. 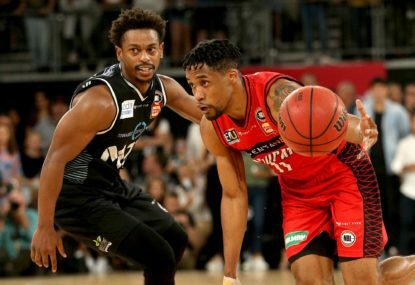 Wildcats captain Damian Martin is glad to have home court advantage but knows it doesn’t guarantee anything as he prepares for his time guarding Ware, Goulding and even Mitch McCarron. “Obviously it’s something we’re glad we secured by winning the minor premiership and we’re going to have 13,000 people all wearing red supporting us,” Martin said. “But in saying that you want to play in front of big crowds so hopefully when we go to Melbourne it’s a sell out because that gets the away team going as well. “I get a taste of guarding Casper every day at training by guarding Bryce. Both guys are deservedly known as superstars of the league and you throw in Chris Goulding and McCarron too. Casper went for 17 points in the first quarter against Sydney in a semi-final game. “That’s just the type of player he is and the points he’s capable of scoring in a short period of time. I know I’ll have my hands full no matter who I’m guarding in the back court but Casper is runner-up MVP of the league, a prolific scorer, a competitor and like Bryce, he doesn’t take a possession off. Meanwhile, Melbourne star point guard Casper Ware is confident of getting at least one win in Melbourne. “It’s the Grand Finals, that’s what you work all season for so if you’re not excited, I don’t know what you will get excited for,” Ware said. 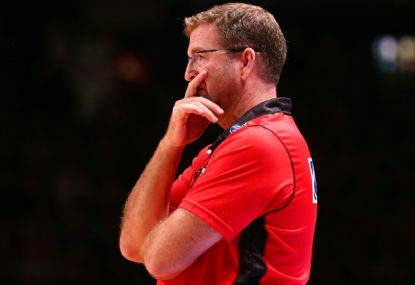 Perth coach Trevor Gleeson is in a fascinating position of not knowing what his future holds beyond this Grand Final series, but all his focus on is the job at hand. “Game 1 is big. We’ve had a good week leading up to it where we got to refresh the bodies so we are ready to go,” Gleeson said. United big man Josh Boone is looking for his team to do some things better in Perth to get that road win but things like the foul count might be out of their control, illustrated by the Wildcats’ only being called for a franchise-low seven fouls on Melbourne’s last visit west. “It’s kind of everything we need to do better. If you look at the stats, we don’t shoot the ball nearly as well over there and we foul a lot more,” Boone said. “The foul discrepancy between the games here and the games there was really the thing that stood out to me, both our three-point shooting and that.